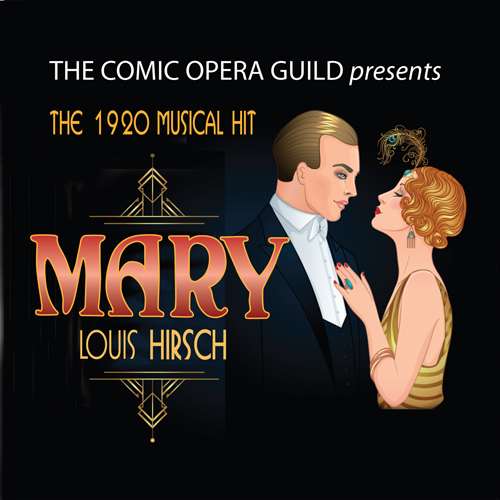 Concert-style performance or Louis Hirsch's 1920 hit "Mary", including the hit song "The Love Nest." Here’s your chance to see the first revival of the 1920 hit musical by Louis Hirsch. An unfamiliar name today, Hirsch was a leading composer on Broadway in the early part of the century, and one of he founders of ASCAP. His fame was cut short by his early death at the age of 36. His music is full of life, and the hit song from the show,“The Love Nest” was used as the theme song for the Burns and Allen TV show in the 50s. The plot is something of a Cinderella story, very popular in the early ‘20s. Mary is working as a secretary to the wealthy Mrs. Keene, whose son Jack is the eligible bachelor for all the debutantes in his social set. He is oblivious to this, as he is only interested in building new, prefab houses for the working class. A divorced social climber, Madeline, has her eyes set on him, and he passively accepts that he may marry her. When Mrs. Keene discovers that her wealth has been lost in a bad investment scheme, Jack decides to go off and make his fortune, which no one expects him to do. The only support he gets is from Mary. Complications ensue, but in the end, things somehow work themselves out for our 1920 Cinderella and her prince. Comic Opera Guild previously revived and recorded Hirsch’s “The Rainbow Girl” and will now add “Mary” to its list of early American Broadway recordings.